It’s a Dirty Job… « How Do You Measure 525600 Minutes? I hate cleaning. Vacuuming, mopping, dusting, polishing, washing, straightening, organizing, wiping, sanitizing…did I mention I hate cleaning?!? I have to admit… I can either ignore it, or be completely obsessed with it. No in between. Owning and living in a large 123 year old house with two big dogs and a cat certainly doesn’t make the job any easier. Even when I’m in my obsessed stage, I always seem to find a paw print or cobweb I missed. And what about that pesky mirror or window smudge that will not go away? When I’m trying to ignore it, I rationalize that it’s just going to get dirty again, right? I often find myself putting off projects, especially after I’ve cleaned, because I don’t want to clean up the mess. It’s a different world from what I grew up in. My mother always kept an immaculate house. (At least that’s how I remember it.) I remember helping with the household chores at an early age. (What kid doesn’t like pushing a vacuum?) As we got older, we had our assigned chores that we did regularly and the house was always clean. 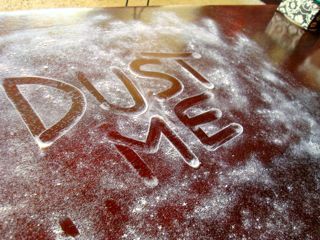 I never remember dusting the furniture and seeing any actual dust; or emptying anything out of the vacuum cleaner. Mirrors, windows and pictures always looked clean but we cleaned them again anyway. Yes, it was a different world. I think the world is dirtier– or Illinois is dirtier than Florida? I know I don’t have better eyesight! In either case, it’s a constant battle to win the war on cleanliness. I guarantee you, if I shampoo the carpets… it promises to rain so my dogs can track mud in on the clean floors. It never fails. 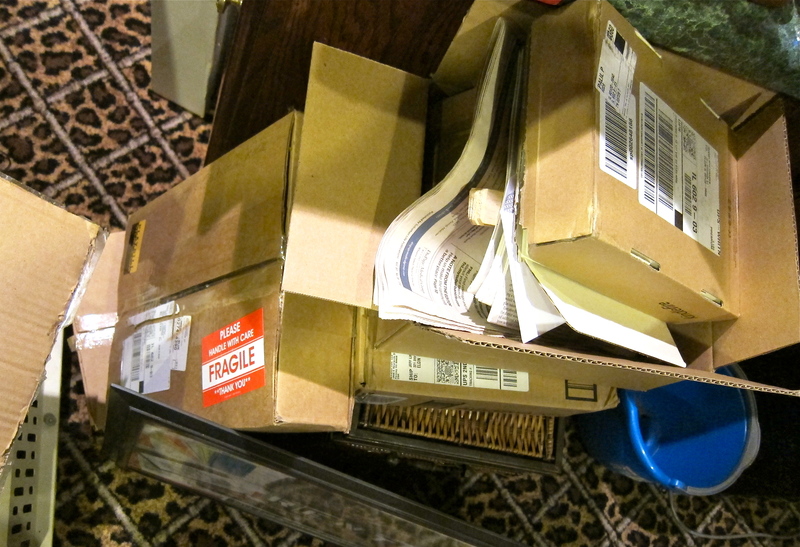 Today’s Pic of the Day: My cleaning/organizing project. By jlinamen1229 in Uncategorized on January 10, 2012 .